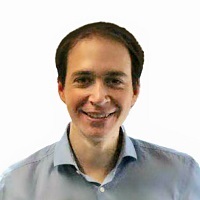 Dr Alfredo Camara is a Lecturer (Assistant Professor) in Structural Engineering in the Department of Civil Engineering at City University London. He received his MEng (Hons) and PhD in Bridge Engineering from the Technical University of Madrid (UPM). He has almost 2 years professional experience in structural engineering, where he was involved in the design of singular bridges and other structures. Dr Camara has been Research Associate working on vehicle-structure interaction and advanced composite materials at Tongji University (Shanghai) and the Spanish Research Council (CSIC) respectively. From 2013 to 2015 he held a fixed-term lectureship in Structural Engineering at Imperial College London. Dr Camara's research interests are related to bridge engineering and structural dynamics, seismic design, nuclear structural engineering and the vibration suppression by means of optimum passive, semi-active and active devices. Camara, A. and Efthymiou, E. (2019). Optimum deck and tower configurations for the transverse seismic response of cable-stayed bridges. Camara, A., Jagadeesh, C., Husain, S., Polec, P. and Bush, S. (2018). Driving stability in the Queen Elizabeth II Bridge under high winds. 13th UK Conference on Wind Engineering 3-4 September, Leeds (UK). Efthymiou, E. and Camara, A. (2018). Spatial variability effects on long-span cable-stayed bridges. 16th European Conference on Earthquake Engineering 18-21 June, Tessaloniki (Greece). Thomaidis, I., Camara, A. and Kappos, A. (2018). Simulating The Rocking Response Of Rigid Bodies Using General-Purpose Finite Element Software. 16th European Conference on Earthquake Engineering 18-21 June, Tessaloniki (Greece). Thomaidis, I.M., Camara, A. and Kappos, A.J. (2017). Simulating the Response of Free-Standing Rocking Rigid Blocks using Abaqus/Standard. Abaqus Users' Meeting 18-19 October, Cheshire, UK. Efthymiou, E.C. and Camara, A. (2017). The effect of multi-angle, spatially variable seismic motions on cable-stayed bridges. Efthymiou, E. and Camara, A. (2017). Effect of spatial variability of earthquakes on cable-stayed bridges. Efthymiou, E. and Camara, A. (2016). Spatially variable seismic ground motions and their effect on cablestayed bridges: The role of the tower. Kavrakov, I., Camara, A. and Morgenthal, G. (2016). Influence of model assumptions of aerodynamic models on the wind-vehicle-bridge interaction. IABSE-2016 International Symposium Stockholm. Kavrakov, I., Morgenthal, G. and Camara, A. (2016). Influence of aerodynamic model assumptions on the wind-vehicle- bridge interaction. Efthymiou, E. and Camara, A. (2015). Spatial variability effects of the seismic action in cable-stayed bridges and modelling techniques. IABSE International Symposium 20 September, Geneva. Efthymiou, E. and Camara, A. (2015). Spatial variability effects of the seismic action in cable-stayed bridges and modelling techniques. Zauft, D., Galant, J.A.L., Madrazo-Aguirre, F. and Camara, A. (2015). Iabse: An opportunity for Young Engineers to develop their social skills. Camara, A., Stafford, P.J., Nguyen, K. and Ruiz-Teran, A.M. (2014). Comfort in slender bridges subjected to traffic loading and hammering effects. Astiz, M.A. and Camara, A. (2013). Study on the seismic behaviour of cable-stayed bridges. Sixth Colombian Congress on Earthquake Engineering Bucaramanga (Colombia). devices. Fifth International Congress of Structures (ACHE) Barcelona (Spain). Camara, A., Ruiz-Teran, A.M., Stafford, P.J. and Ciupala, M.A. (2011). Non-Linear Seismic Behaviour of Under-Deck CableStayed Bridges. IABSE-IASS-2011 International Symposium London (United Kingdom). of seismic devices. IABSE-IASS-2011 International Symposium London (United Kingdom). Camara, A. and Astiz, M.A. (2011). Typological study of the elastic seismic behavior of cable-stayed bridges. Camara, A., Ruiz-Teran, A.M., Stafford, P.J. and Ciupala, M.A. (2011). Seismic behaviour of under-deck cable-stayed bridges. Research Conference: University of East London London (United Kingdom). Camara, A. and Astiz, M.A. (2009). Simulation of the seismic behaviour of cable-stayed bridges. International Congress of Numerical Methods in Engineering (METNUM 09) Barcelona (Spain). Camara, A. and Astiz, M.A. (2009). Strategies for the numerical simulation of the elastic seismic response of cable-stayed bridges. ABAQUS Users Meeting Barcelona (Spain). Camara, A. and Astiz, M.A. (2008). Seismic behaviour of cable-stayed bridges. ABAQUS Users Meeting Madrid (Spain). Zhao, Z., Dai, K., Camara, A., Bitsuamlak, G. and Sheng, C. (2019). Wind Turbine Tower Failure Modes under Seismic and Wind Loads. Journal of Performance of Constructed Facilities, 33(2). doi:10.1061/(ASCE)CF.1943-5509.0001279 . Camara, A. (2018). Seismic behavior of cable‒stayed bridges: a review. MOJ Civil Engineering, 4(3), pp. 161–169. doi:10.15406/mojce.2018.04.00115 . Nguyen, K., Camara, A., Rio, O. and Sparowitz, L. (2017). Dynamic Effects of Turbulent Crosswind on the Serviceability State of Vibrations of a Slender Arch Bridge Including Wind-Vehicle-Bridge Interaction. Journal of Bridge Engineering, 22(11). doi:10.1061/(ASCE)BE.1943-5592.0001110 . Camara, A., Cristantielli, R., Astiz, M.A. and Málaga-Chuquitaype, C. (2017). Design of hysteretic dampers with optimal ductility for the transverse seismic control of cable-stayed bridges. Earthquake Engineering and Structural Dynamics, 46(11), pp. 1811–1833. doi:10.1002/eqe.2884 . Dai, K., Sheng, C., Zhao, Z., Yi, Z., Camara, A. and Bitsuamlak, G. (2017). Nonlinear response history analysis and collapse mode study of a wind turbine tower subjected to tropical cyclonic winds. Wind and Structures, An International Journal, 25(1), pp. 79–100. doi:10.12989/was.2017.25.1.079 . Sadowski, A.J., Camara, A., Málaga-Chuquitaype, C. and Dai, K. (2017). Seismic analysis of a tall metal wind turbine support tower with realistic geometric imperfections. Earthquake Engineering and Structural Dynamics, 46(2), pp. 201–219. doi:10.1002/eqe.2785 . Camara, A., Vázquez, V.F., Ruiz-Teran, A.M. and Paje, S.E. (2017). Influence of the pavement surface on the vibrations induced by heavy traffic in road bridges. Canadian Journal of Civil Engineering, 44(12), pp. 1099–1111. doi:10.1139/cjce-2017-0310 . Camara, A. and Efthymiou, E. (2016). Deck–tower interaction in the transverse seismic response of cable-stayed bridges and optimum configurations. Engineering Structures, 124, pp. 494–506. doi:10.1016/j.engstruct.2016.06.017 . Shen, X., Camara, A. and Ye, A. (2015). Effects of seismic devices on transverse responses of piers in the Sutong Bridge. Earthquake Engineering and Engineering Vibration, 14(4), pp. 611–623. doi:10.1007/s11803-015-0049-7 . Camara, A. and Ruiz-Teran, A.M. (2015). Multi-mode traffic-induced vibrations in composite ladder-deck bridges under heavy moving vehicles. Journal of Sound and Vibration, 355, pp. 264–283. doi:10.1016/j.jsv.2015.06.026 . Camara, A., Astiz, M.A. and Ye, A.J. (2014). Fundamental mode estimation for modern cable-stayed bridges considering the tower flexibility. Journal of Bridge Engineering, 19(6). doi:10.1061/(ASCE)BE.1943-5592.0000585 . Camara, A., Nguyen, K., Ruiz-Teran, A.M. and Stafford, P.J. (2014). Serviceability limit state of vibrations in under-deck cable-stayed bridges accounting for vehicle-structure interaction. Engineering Structures, 61, pp. 61–72. doi:10.1016/j.engstruct.2013.12.030 . Camara, A. and Astiz, M.A. (2014). Analysis and control of cable-stayed bridges subject to seismic action. Structural Engineering International: Journal of the International Association for Bridge and Structural Engineering (IABSE), 24(1), pp. 27–36. doi:10.2749/101686614X13830790993762 . Cámara, A. and Astiz, M.A. (2014). Applicability of the strategies for the elastic seismic analysis of cable-stayed bridges. Revista Internacional de Metodos Numericos para Calculo y Diseno en Ingenieria, 30(1), pp. 42–50. doi:10.1016/j.rimni.2012.10.001 . Camara, A., Ruiz-Teran, A.M. and Stafford, P.J. (2013). Structural behaviour and design criteria of under-deck cable-stayed bridges subjected to seismic action. Earthquake Engineering and Structural Dynamics, 42(6), pp. 891–912. doi:10.1002/eqe.2251 . Camara, A. and Astiz, M.A. (2012). Pushover analysis for the seismic response prediction of cable-stayed bridges under multi-directional excitation. Engineering Structures, 41, pp. 444–455. doi:10.1016/j.engstruct.2012.03.059 . Oliva, J., Antolin, P., Camara, A. and Goicolea, J.M. (2011). Análisis estructural de algunas obras de Félix Candela mediante modelos de elementos finitos. Hormigon y Acero, 62(260), pp. 61–76. Dr Alfredo Camara is actively involved in teaching and supervision at the undergraduate and postgraduate levels.